SharePoint sites and pages let you keep people up-to-date with news, and informed about product launches, campaigns, events, and policies. They’re the building blocks for an intranet that connects the workplace, supporting communication and fostering engagement. And today, it’s simple for any user to quickly create beautiful sites and pages that are fast, beautiful, and look great on the web, on PC or Mac, on mobile browsers, and in the SharePoint mobile app. 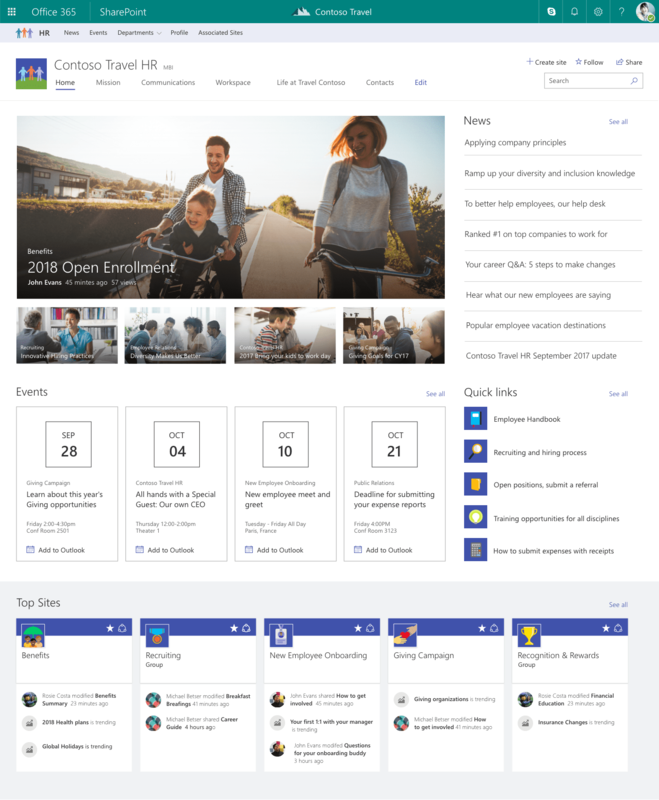 SharePoint hub sites bring together related sites to roll up news and activity, to simplify search, and to create cohesion with shared navigation and look-and-feel. A hub site brings consistency across sites from the top down. When a team site or communication site is associated to a hub site, it inherits common characteristics, including navigation, theme and logo. 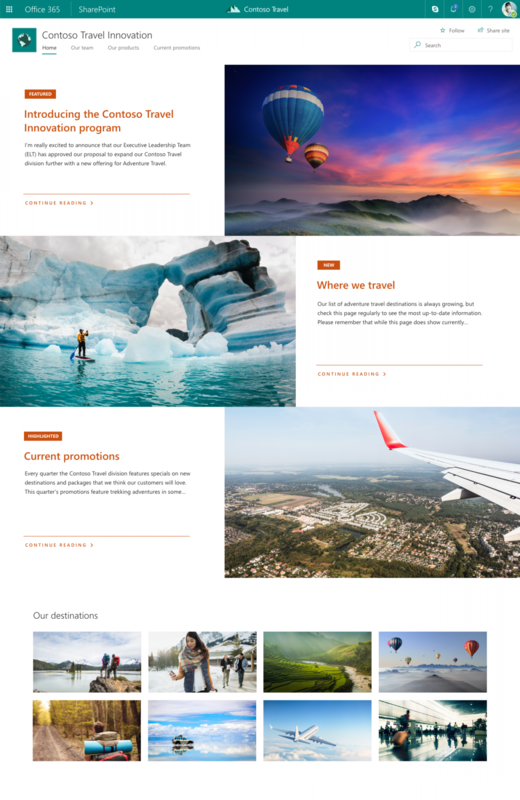 SharePoint communication sites are perfect for internal cross-company campaigns, weekly and monthly reports or status updates, product launches, events and more. You focus more on your message, the layout and organization of content, and worry less about how they look in Web and mobile. 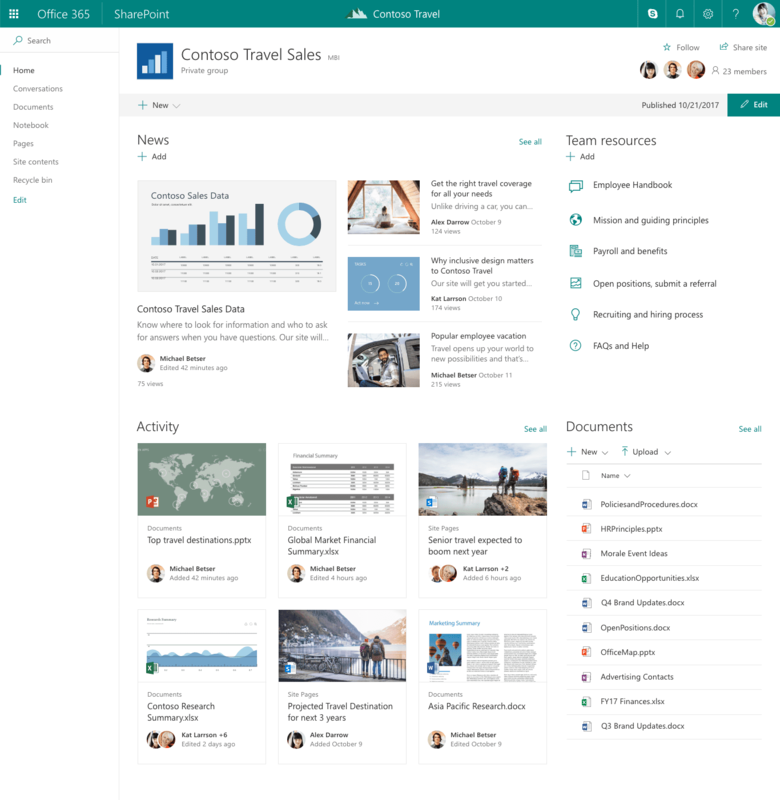 SharePoint team sites provide a central location to manage team files, input and connect to important data, and share timely news. And with insight into what drives the most engagement and value, people can course correct and optimize for greatest impact.